Meet our husband-and-wife co-founders, Bjarke and Holly! Holly McWhorter and Bjarke Ballisager, a husband-and-wife team with backgrounds in architecture, journalism and music, started PLANT Apothecary in 2012 when they saw an opportunity too promote healthy ingredients, environmental friendliness and social responsibility by way of distinctive, design-forward package design. Starting with PLANT’s organic bodywashes, the line has since grown to include moisturizers, masks and more. We are based in Williamsburg, Brooklyn, and we work in partnership with a nonprofit workshop for adults with mental and physical disabilities called BKLYN UNLTD, for various production and distribution projects. Our unisex, USDA Organic beauty, grooming and bath products contain NO petroleum, parabens, PABA, sodium lauryl sulfate, silicones or any other synthetic nasties–so you can lather up, moisturize, purify, de-stress, exfoliate and be well without worry! 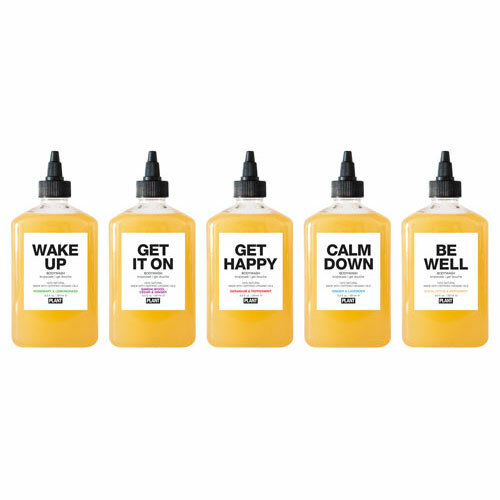 All of our formulas are new twists on effective, time-honored traditional skincare and health remedies from all over the world (think sea buckthorn, rice bran, pumpkin seed oil and more), and they all follow the principles of classical aromatherapy and herbalism to offer you some of the best plant-based apothecary products available today.